One Owner. 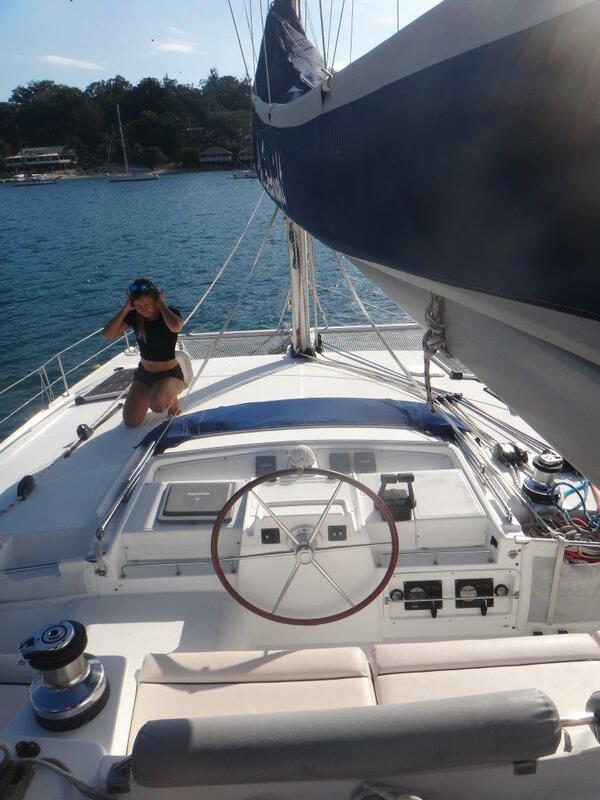 Never chartered. Immaculate presentation. Fully equipped to continue cruising. 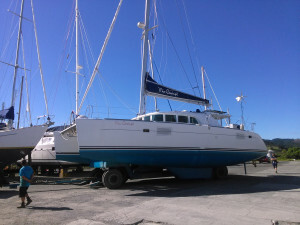 Owner will deliver to NZ or Australia. 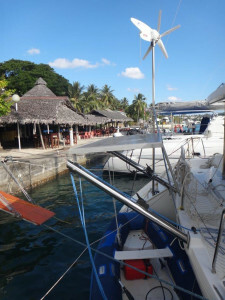 Currently in Vanuatu but will depart shortly to New Caledonia. 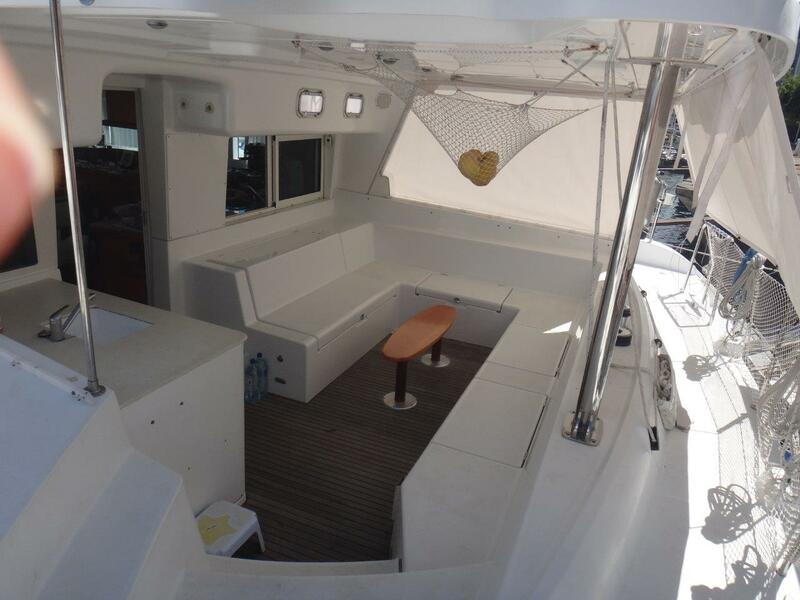 Perhaps the most popular catamaran ever built, the Lagoon 440 was designed and built to the highest standards to offer ultimate comfort, good performance, as well as proven sea-keeping qualities. 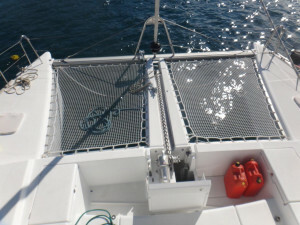 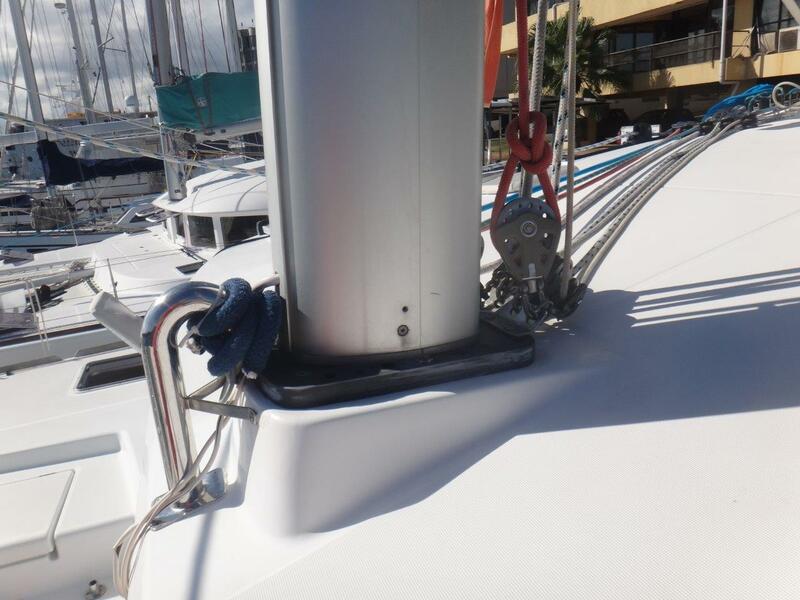 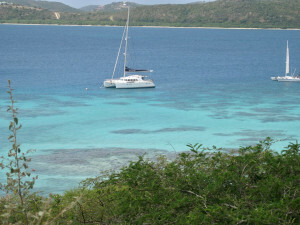 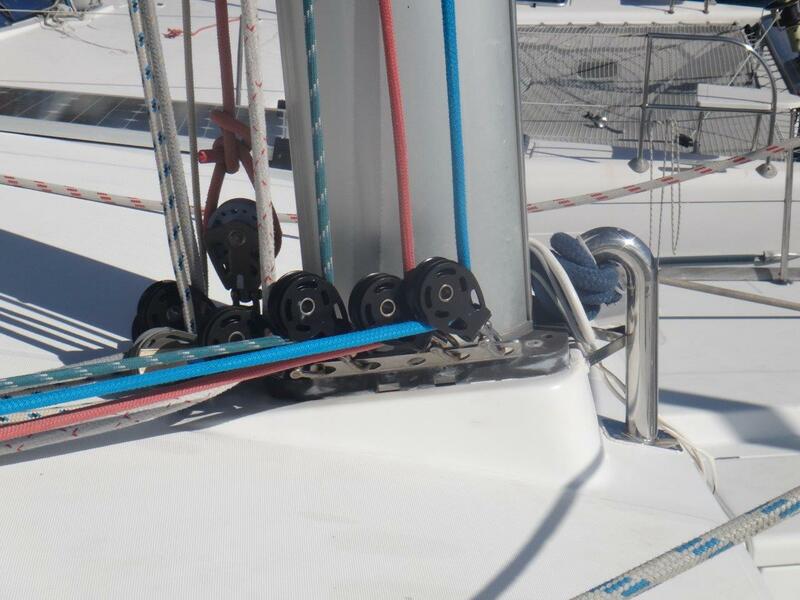 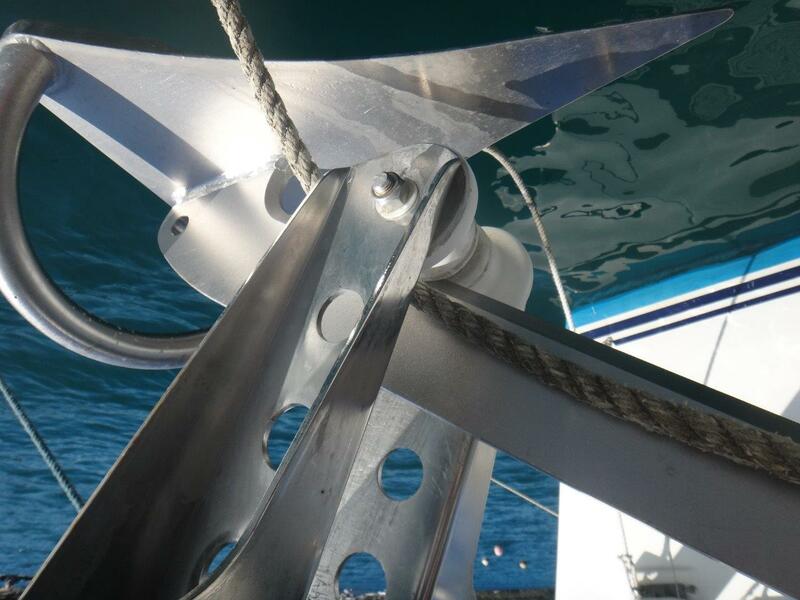 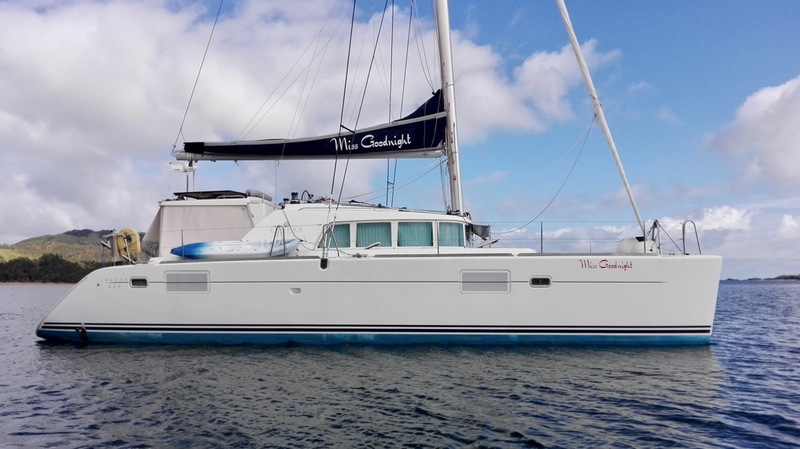 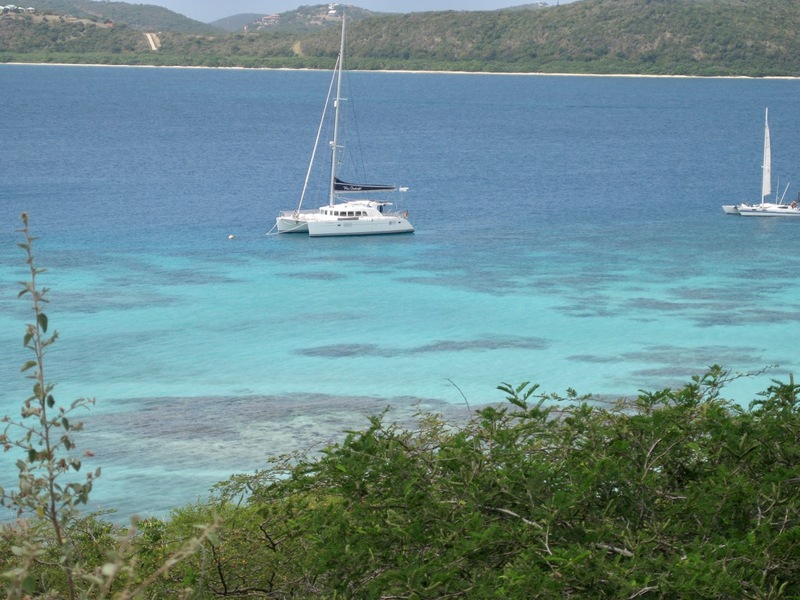 As many cruisers recently pointed out, recent years have seen a huge increase in catamarans representations in remote anchorages around the world, to the point that monohulls are being seriously left behind as a choice of cruising boat. 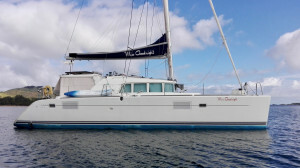 Capable of offering un-matched stability and comfort on the ocean, rolling anchorages, and access to shallow and well protect beaches where dangerous reefs prevent most monohulls to seek shelter, they have also the amazing advantage of being able to be 'beached' for maintenance or when convenient, and of course provide an amazing volume of accommodation and privacy for owner and guests. Owner’s version with light-tinted timber interior. 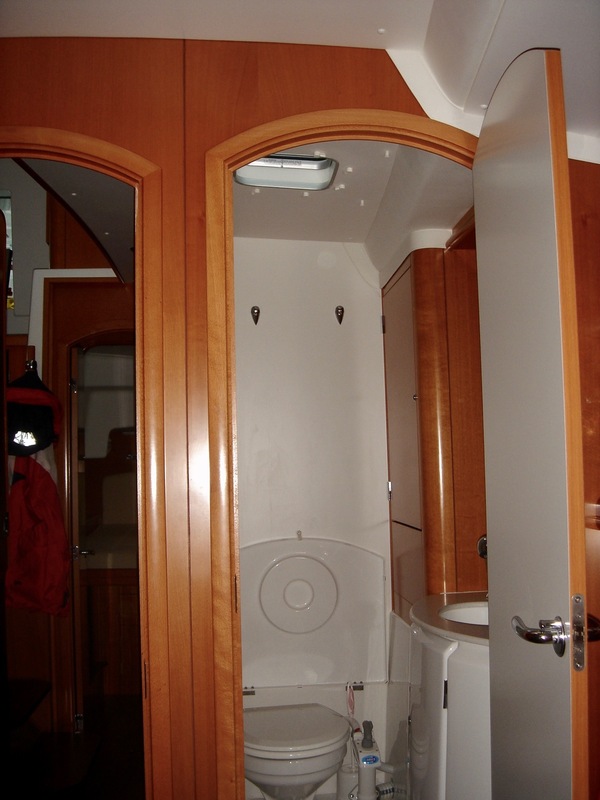 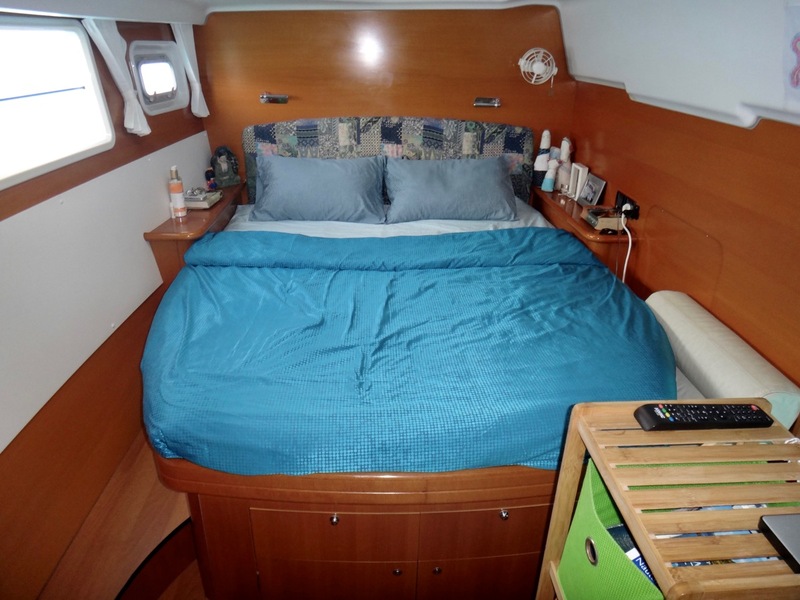 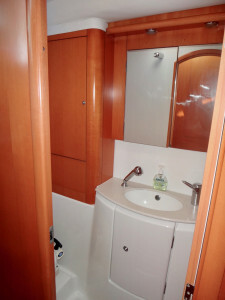 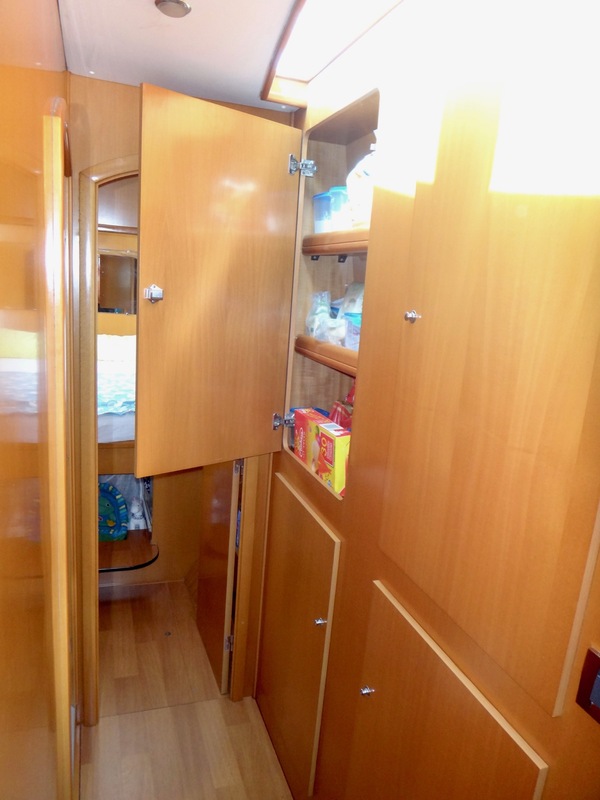 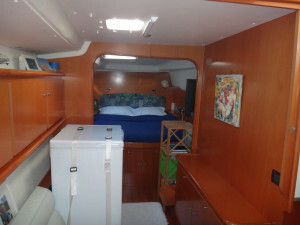 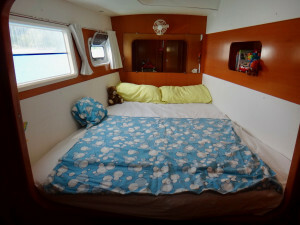 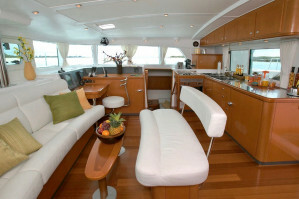 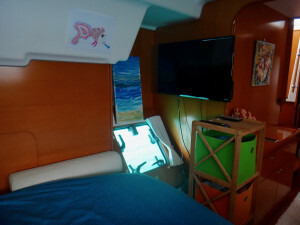 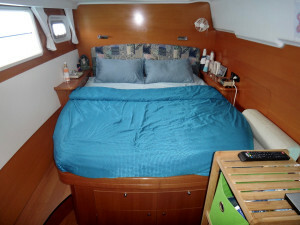 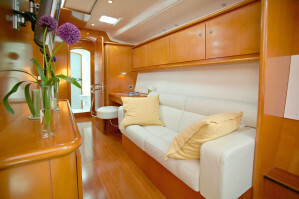 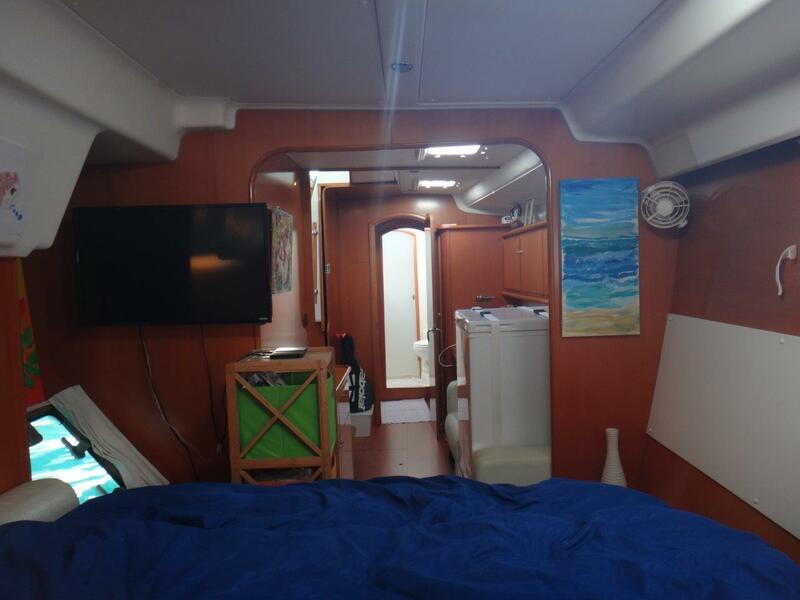 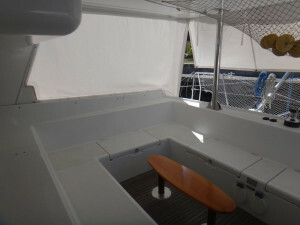 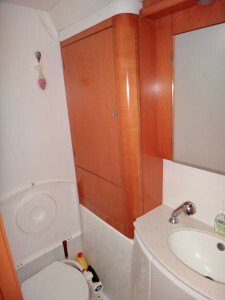 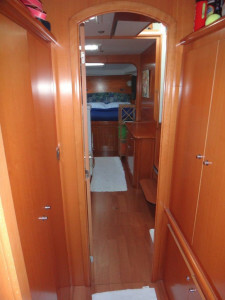 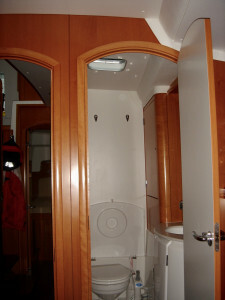 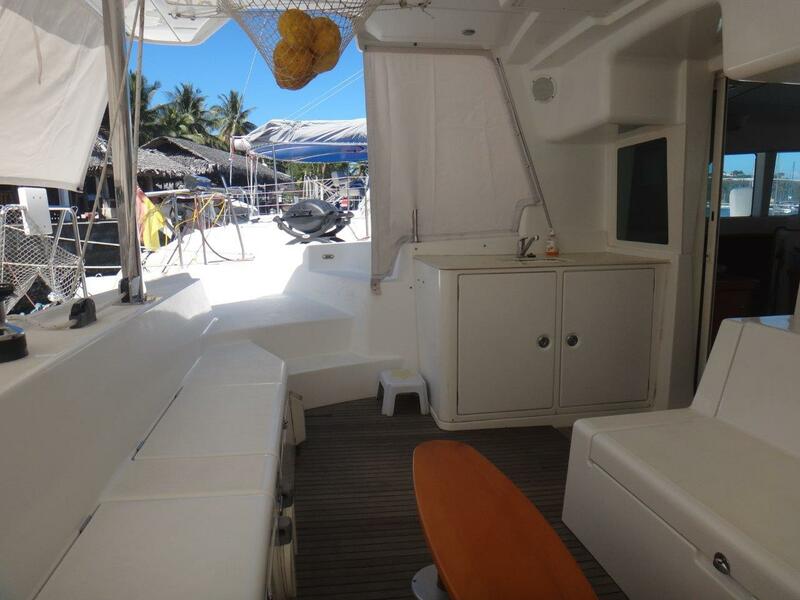 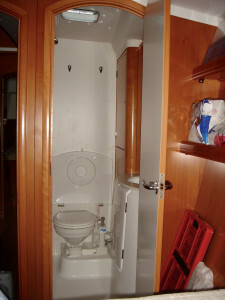 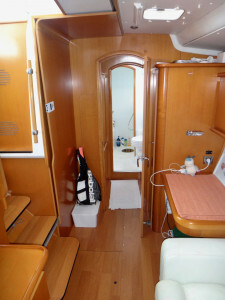 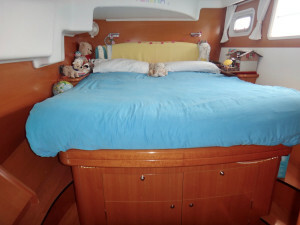 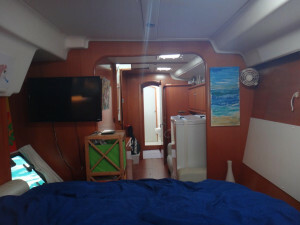 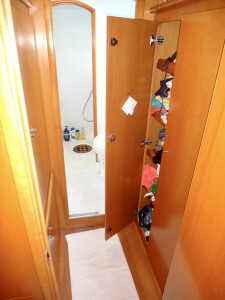 Each cabin has ample 2.04 meter / 6'10" headroom and have their own private head w/vanity and shower. 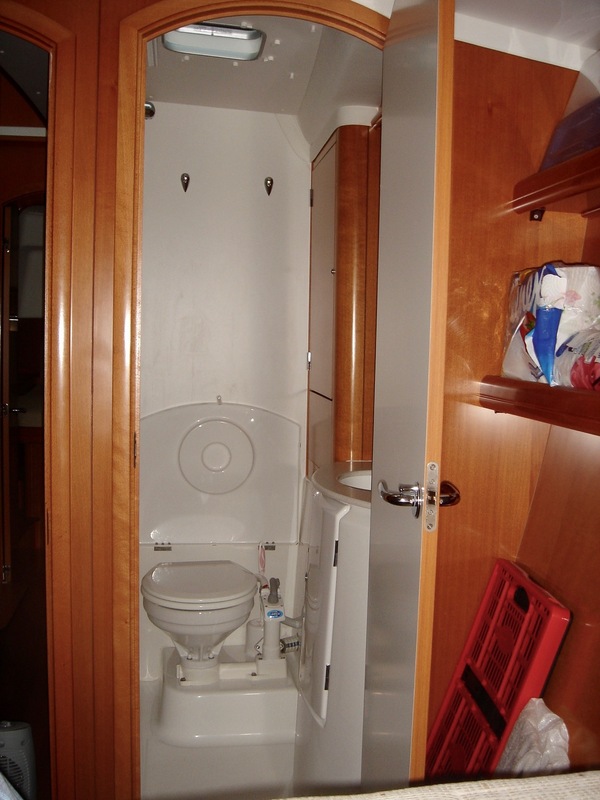 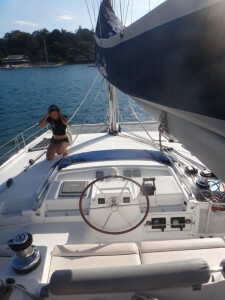 The owner’s side of the boat includes a magnificent double cabin, with sitting area, followed by a very large head / shower. 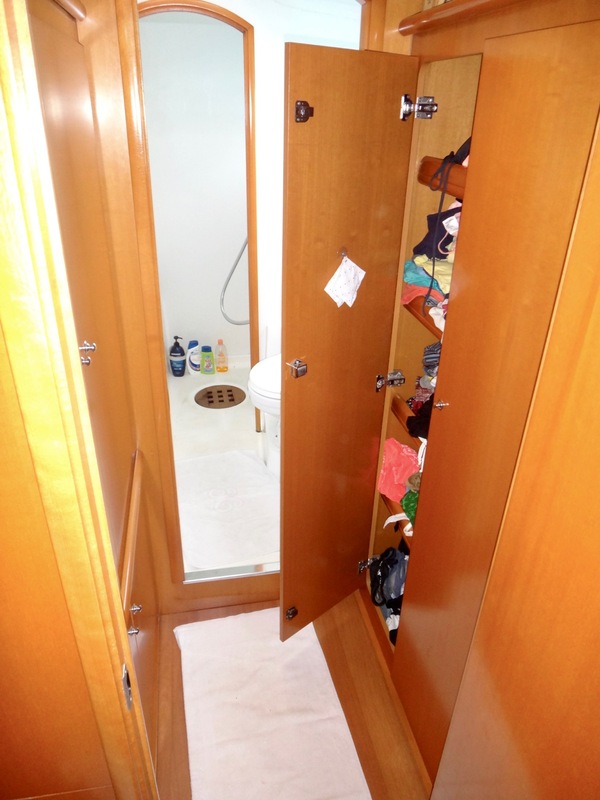 Designed for extended cruising and life on board, the storage capacity is huge, and includes many dedicated lockers, draws and hanging lockers in every cabin and living areas. On the port side are two more double cabins with each their own head / shower and ample storage.While all cabins are designed with comfort and space in mind, the second aft cabin qualifies as another stateroom. The main features are the queen size island bed and large hull fixed windows bringing in lots of natural light and offering a beautiful view on the outside while staying discrete. 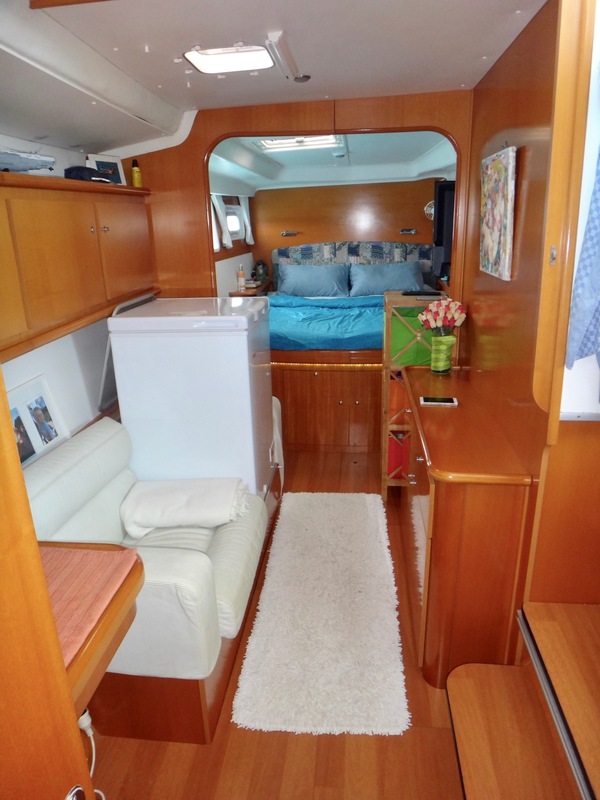 The forward cabin, while a little bit smaller, is still very generous in size and equipped with a very comfortable double berth, reading lights, storage and large windows for an abundance of natural sunlight. Cabin ventilation is assured by numerous opening portholes and hatches. 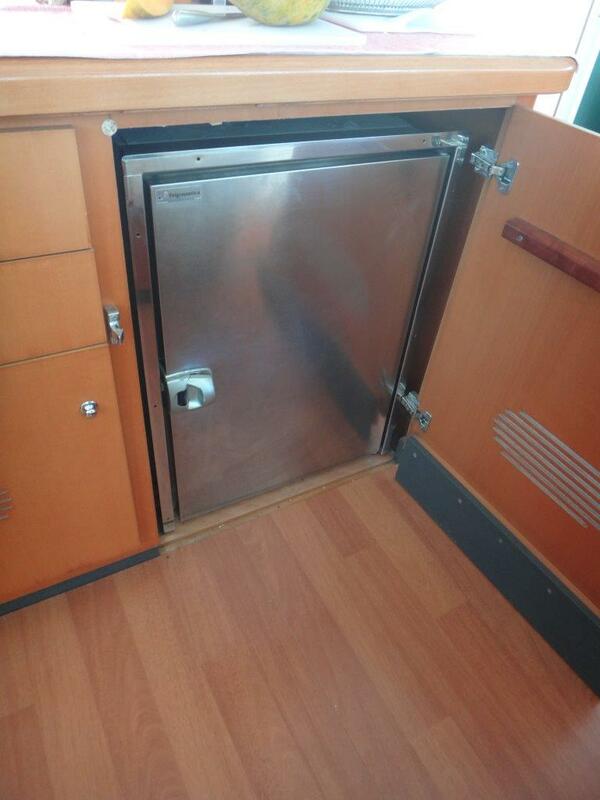 There is ample storage below each berth. Curtains on portholes, hatches and fixed one-way windows. Designed to maximize storage space without impeding on the living area, the saloon, galley and navigation area are all on one level, with abundance of light and warm timber cabinetry for a modern and spacious feeling. 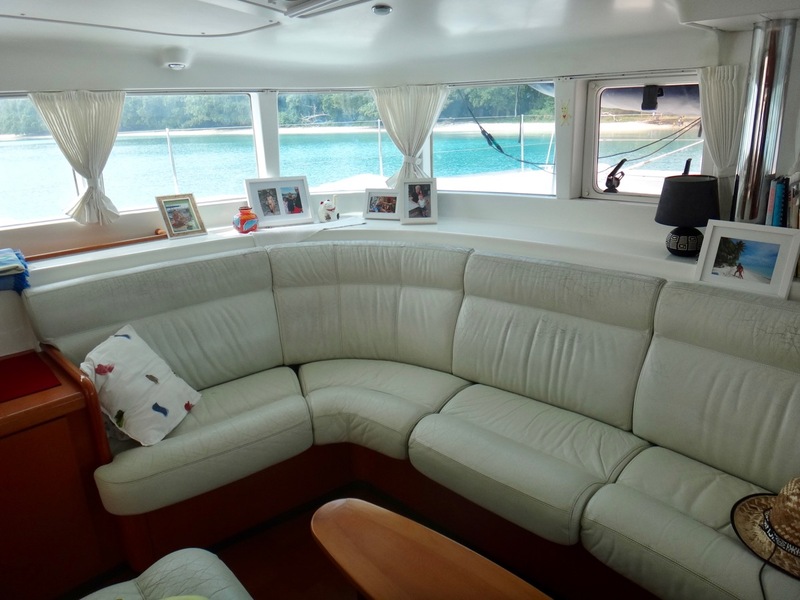 Other than small signs of sun damage at the top of the back rests, the saloon leather upholstery is in good condition, and the floor and all woodwork show virtually no sign of wear and tear. 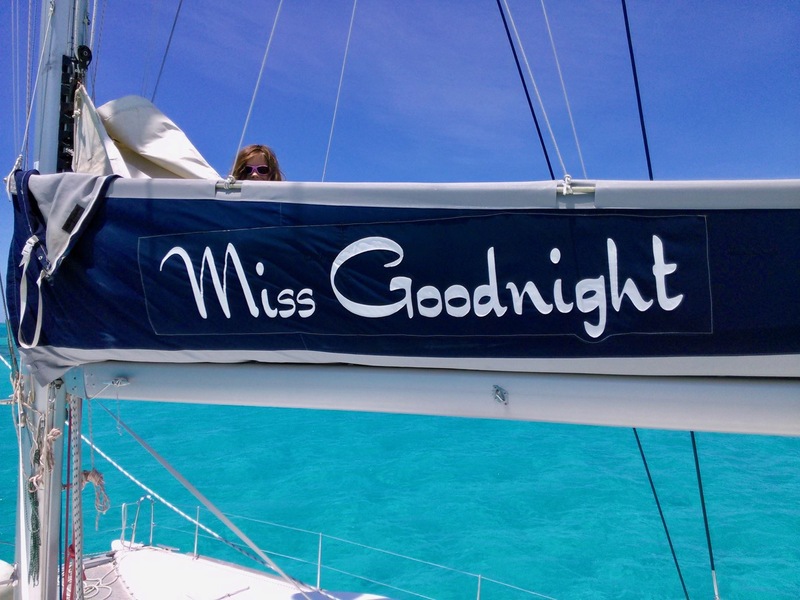 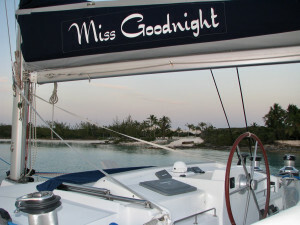 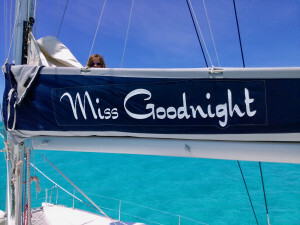 Launched in late 2005 but as a 2006 model (hull number 64) ‘Miss Goodnight’ was purchased new by her owners, who sailed her through the Med into the Black Sea, then towards the Canary islands, crossed the Atlantic in 2008 and spent 4 years in the Caribbean and Central America, crossed the Panama Canal and the Pacific in 2012 and have been circling the Western Pacific since then, usually “over-summering” in New Zealand, where the boat is hauled out and taken care of in Norsand Boat Yard. 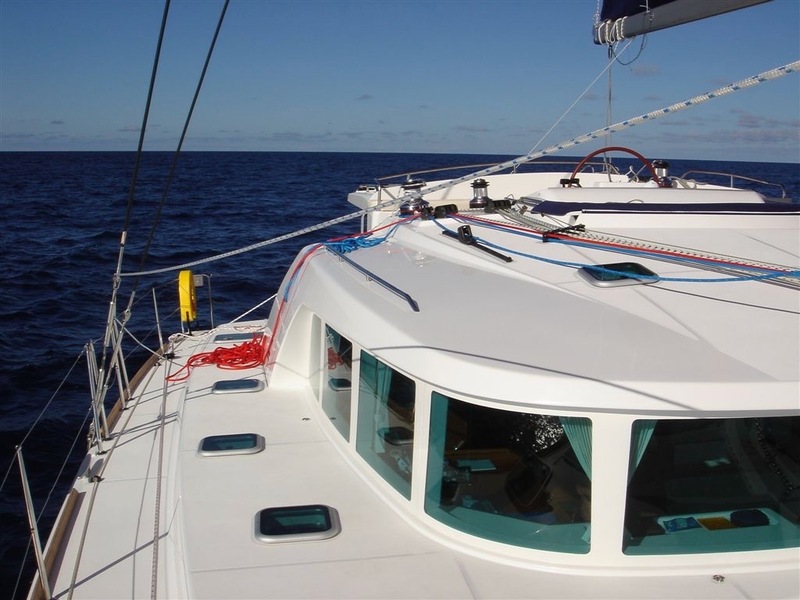 This remarkable family had two children during their travels and always enjoyed carefully planned, quiet and safe passages. 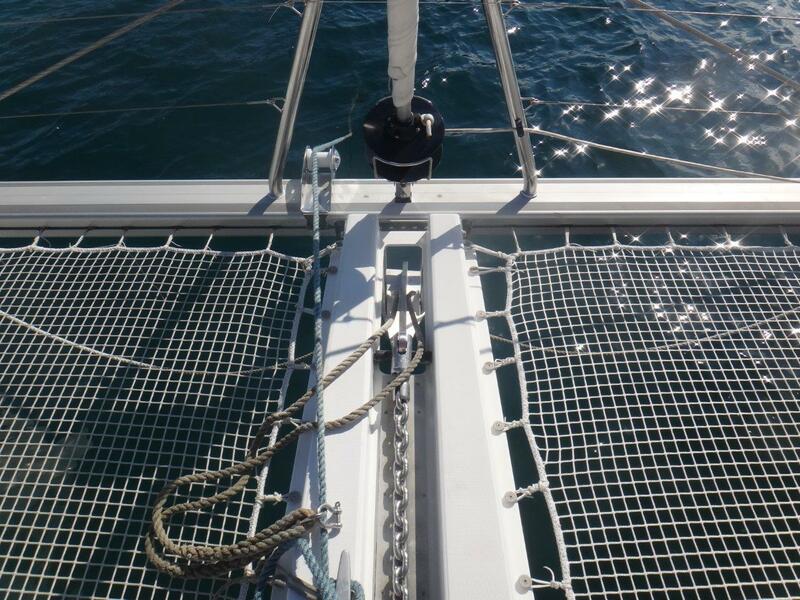 Despite their thousands of sea miles, they have never been in storms or major seas. 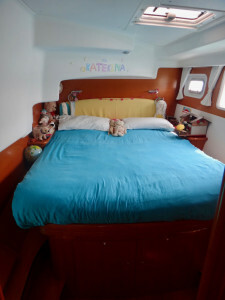 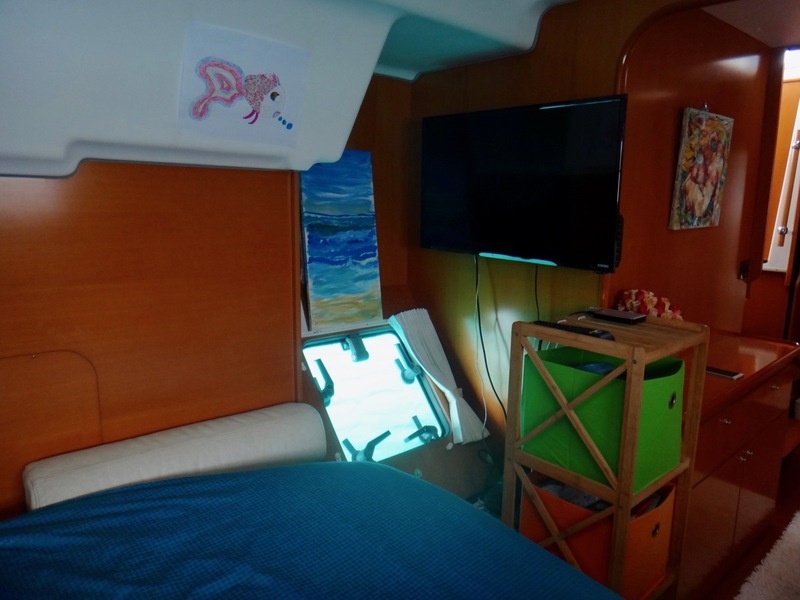 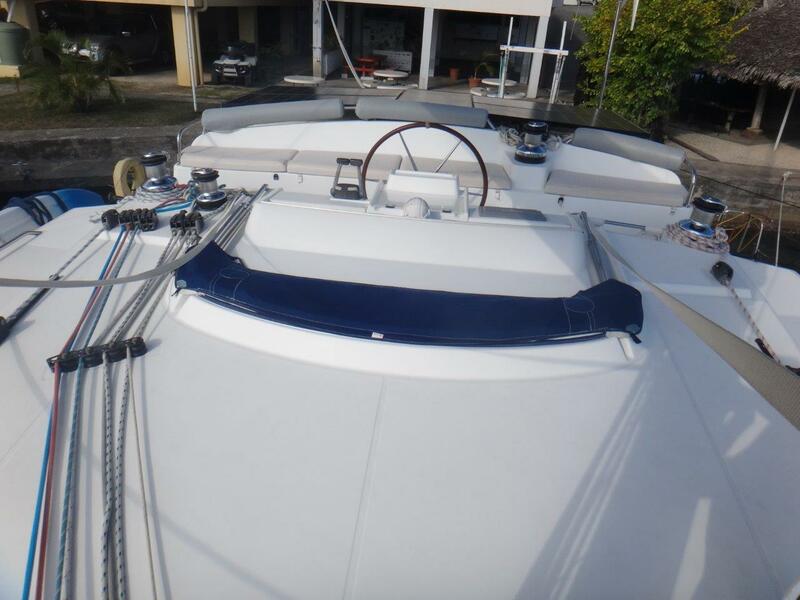 The boat is child-safe and has been maintained in pristine condition, in fact making her one of the most beautifully presented Lagoon 440 we have encountered. 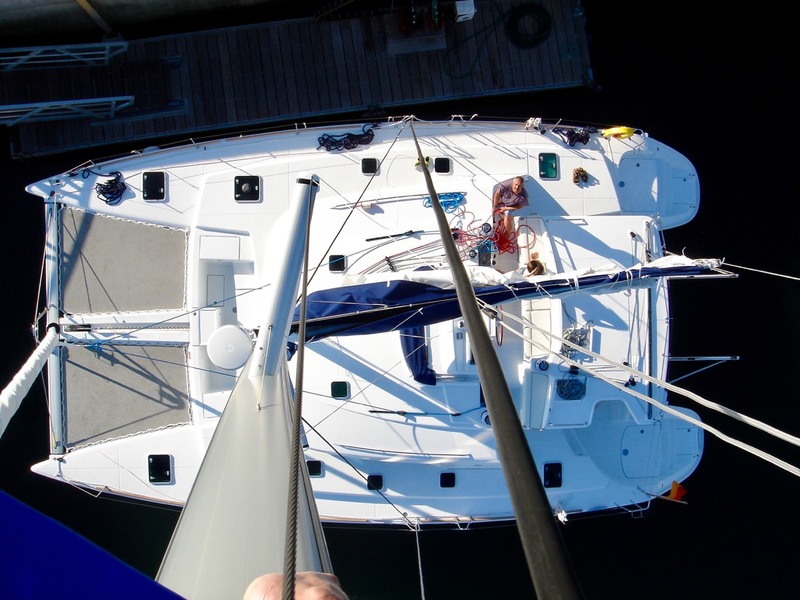 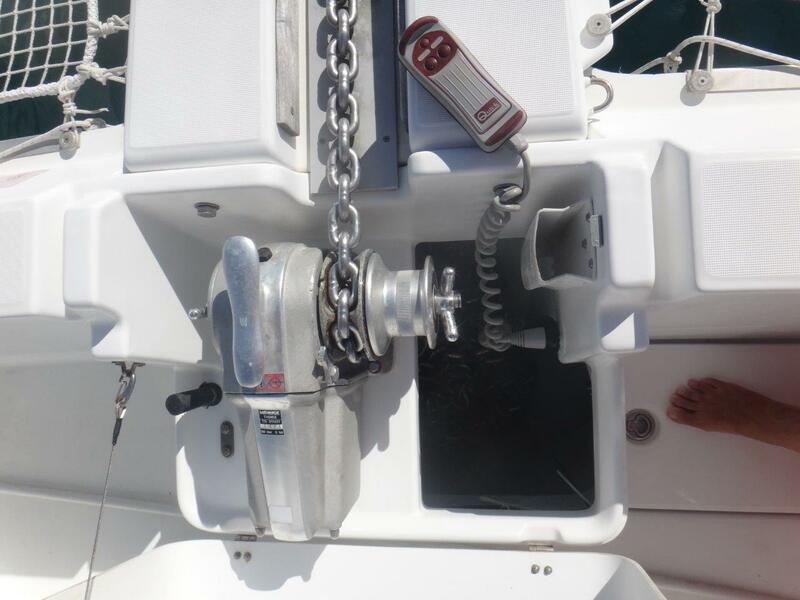 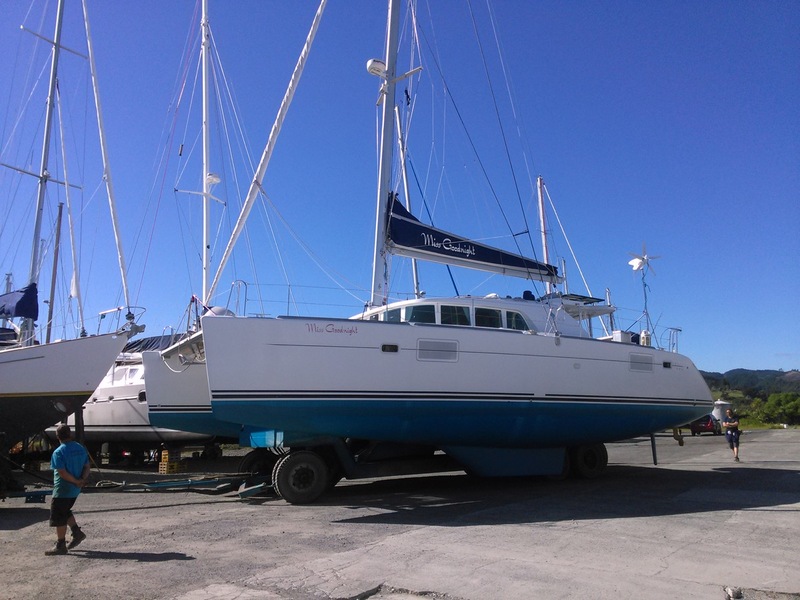 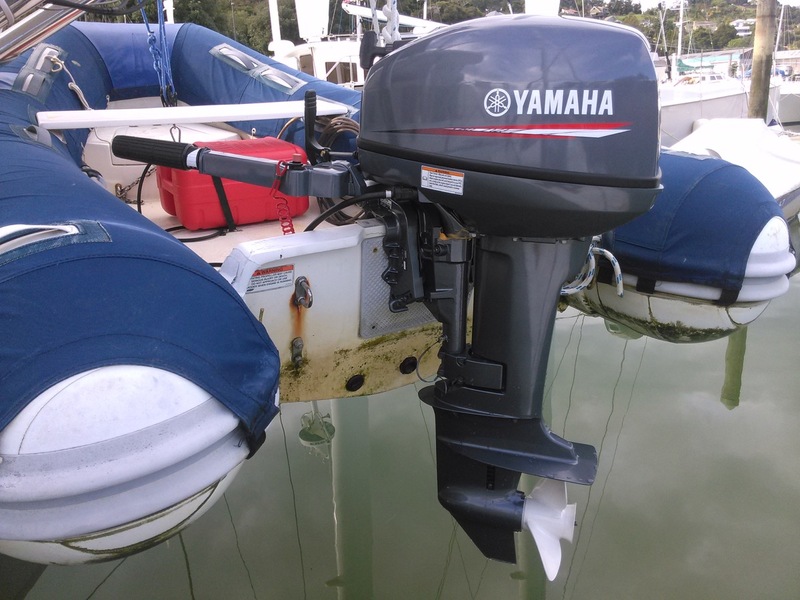 This boat has never been chartered and treated as a most cherished family member, enjoying methodical upkeep and regular updating of her equipment. She would be interesting to a new boat buyer wishing to acquire a boat in showcase condition, without having to compromise on the strength and quality of a boat built pre-GFC and at a time, as many agree, production boats were built to far superior building standards. 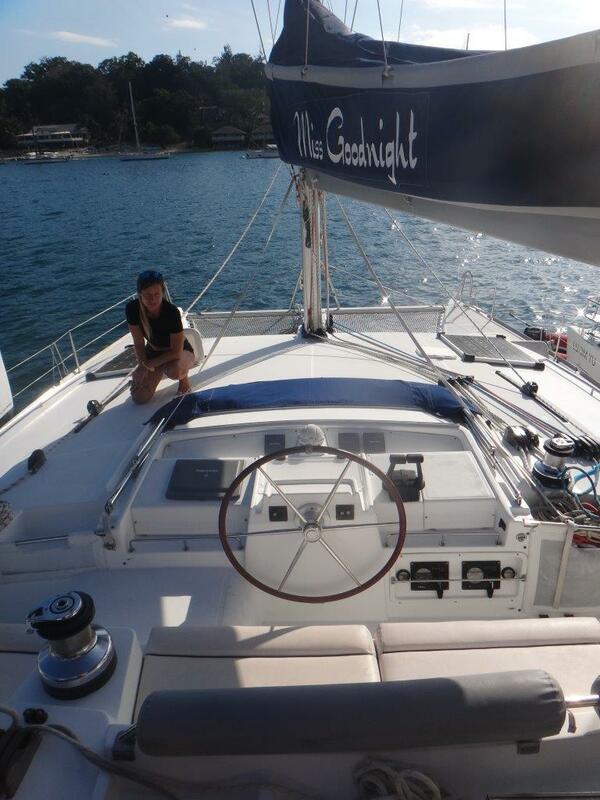 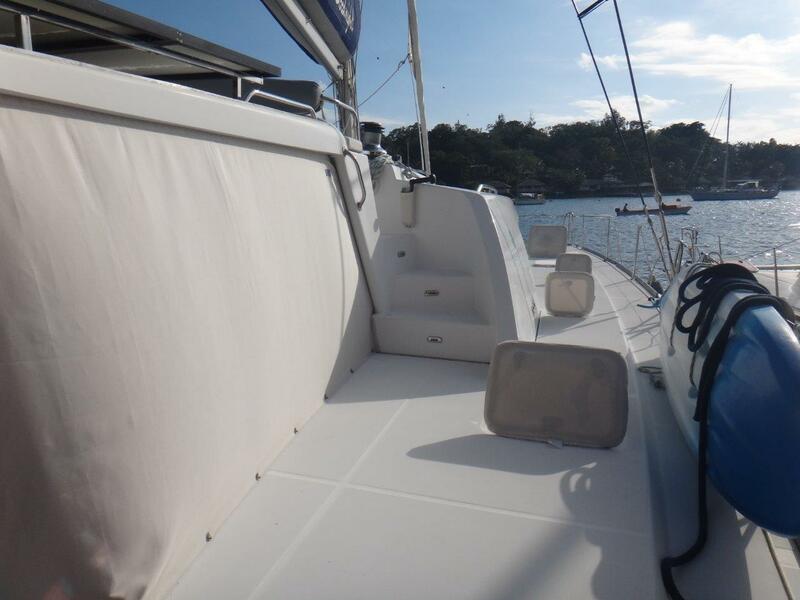 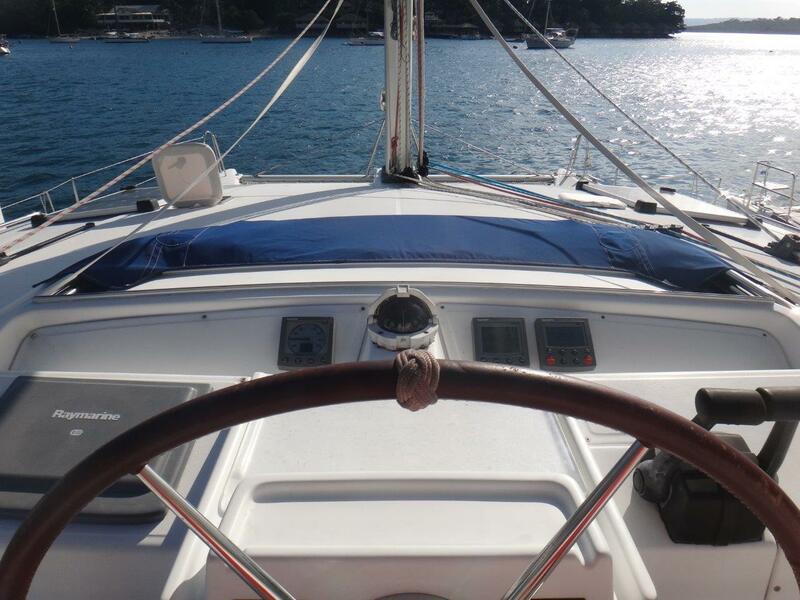 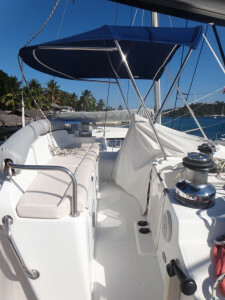 Designed and equipped to be sailed easily short-handed, or even solo, this boat has all sheets and halyards running back to the helm station. 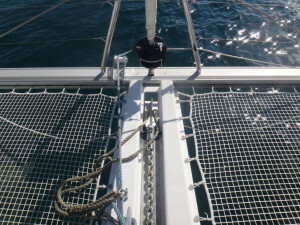 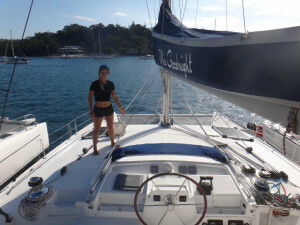 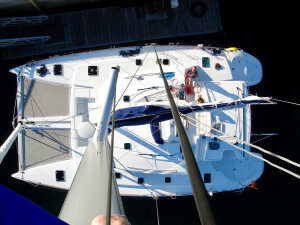 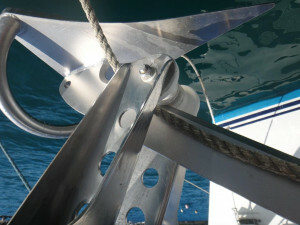 Rigged as a sloop, with fully battened main sail dropping effortlessly into a lazy bag and furling Genoa, she is also equipped for the use of a spinnaker (not included) and reefing points that are also controlled from the helm, so reducing sail area in a sudden blow can be done quickly and without having to venture forward. 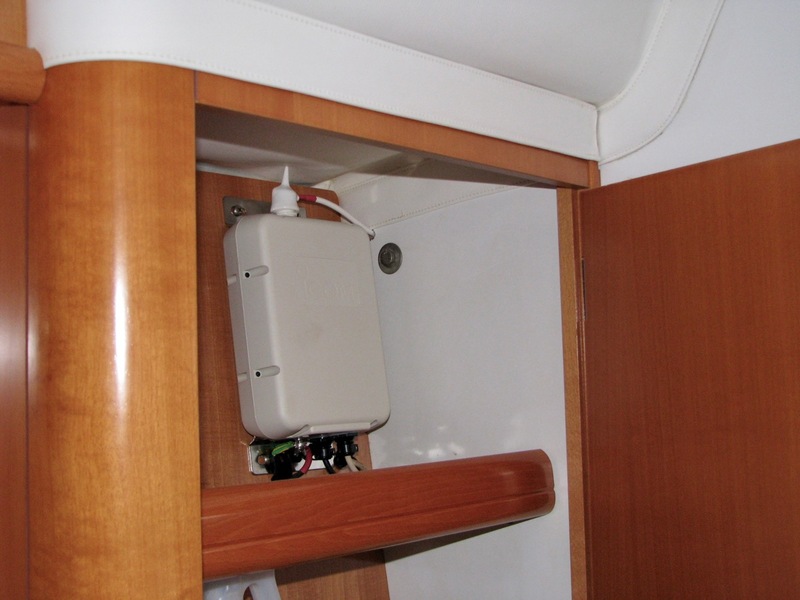 Her extensive range of cruising electronics ensure her ease of navigation and ultimate safety at sea. 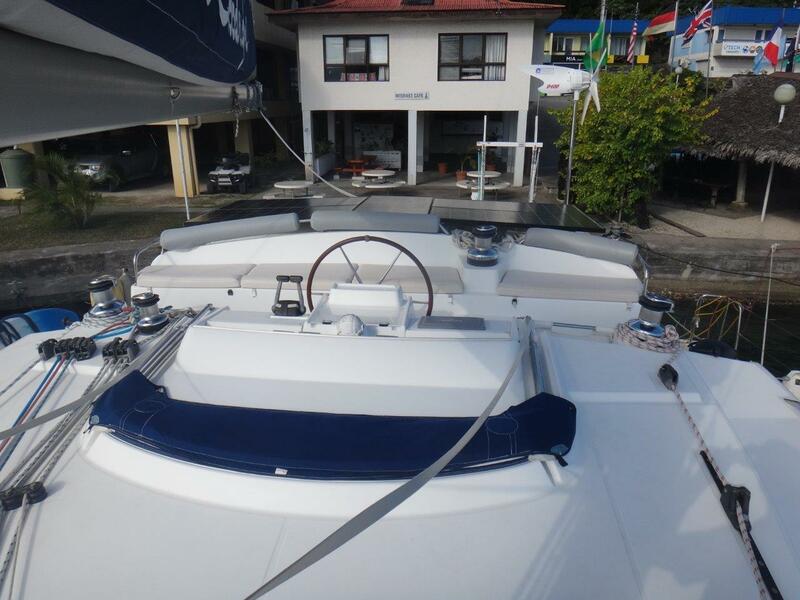 They include large Raymarine Plotter E120 (1) With Various Electronic Charts, SONY Laptop with OPEN CPN and SAS Planet navigation, Navionics Electronic Maps (MED, Caribbean, Pacific), Radar, autopilot with remote control, Iridium Satellite Phone, Iridium Go with Wifi hotspot, etc. This magnificent boat boasts an inventory to die for, including tons of spare parts and service kits for all systems, fishing gear, sea kayaks, Scuba diving equipment, washing machine, spare 100L freezer, , RIB tender with 15HP outboard, davits, tools, etc. 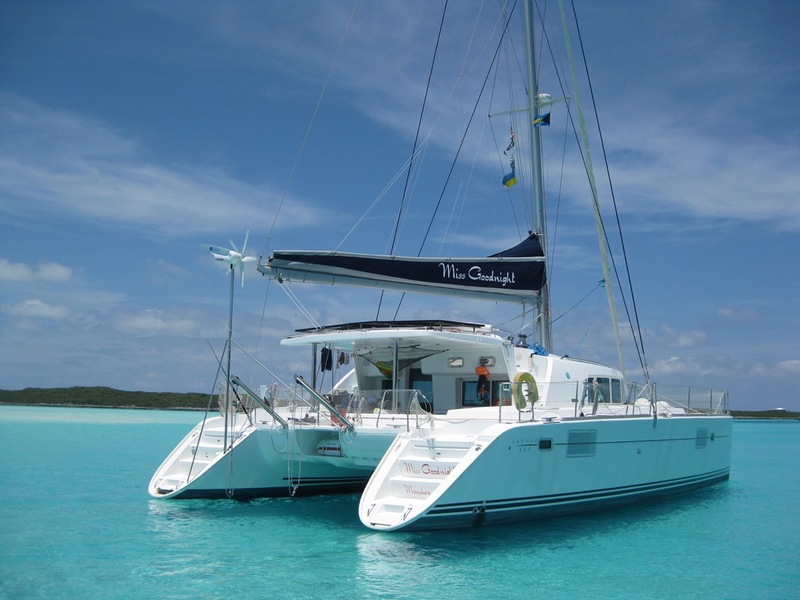 Just bring your clothes, food and favourite wines and you are ready to start your dream cruise or continue enjoying the beautiful, pristine Vanautu islands. 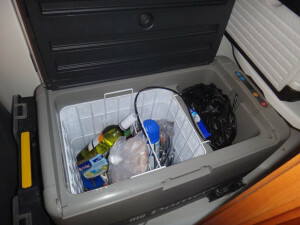 Various Mice, Earphones, Cables, Joystick, etc. 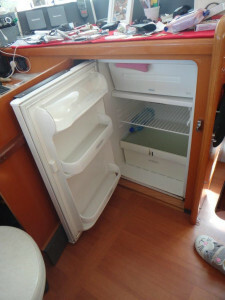 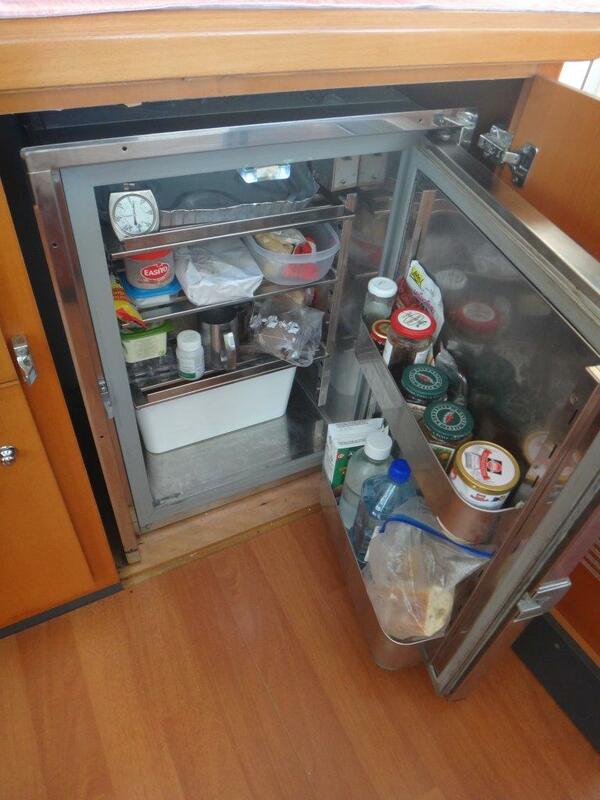 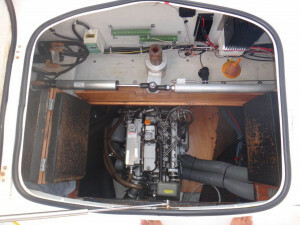 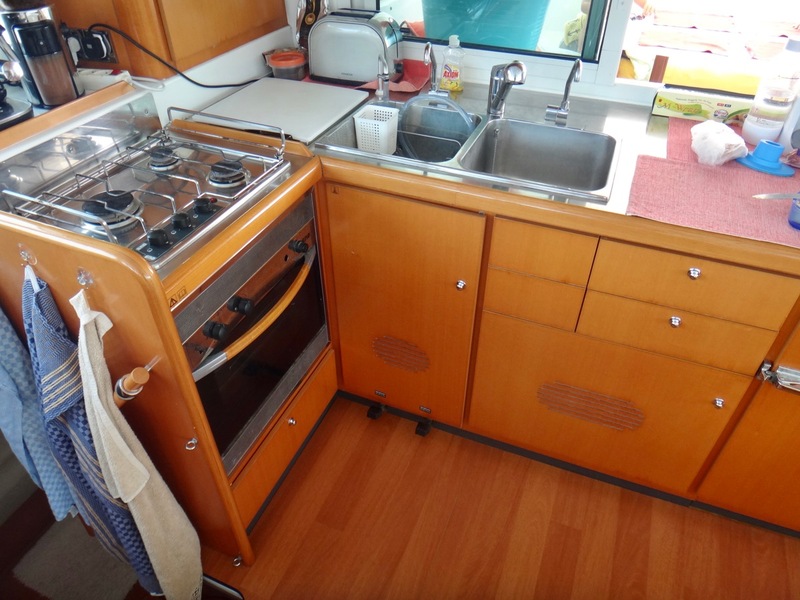 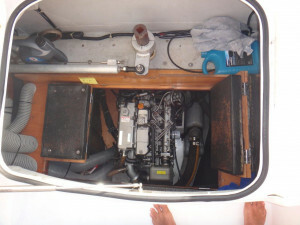 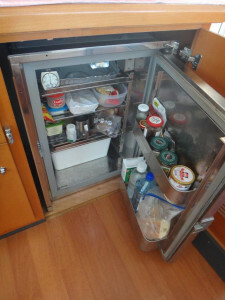 AC circuit including : shorepower transom socket, electrical panel with 4 breakers voltmeter, 2 sockets in galley, 1 socket at nav station, 1 socket in TV/Hifi cabinet, 1 socket per cabin. 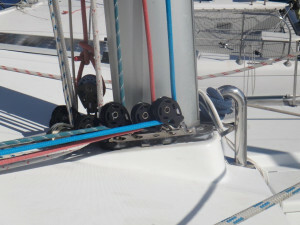 Primary Anchor - 77 lb German "Bügelanker"
Set of Shackles, Snaplinks etc. 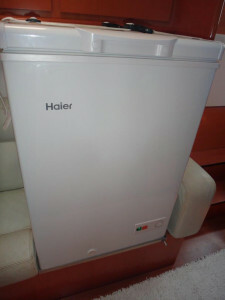 Model : 440 . Owner's version. I would like to enquire about #L44MGOO18 Lagoon 440. 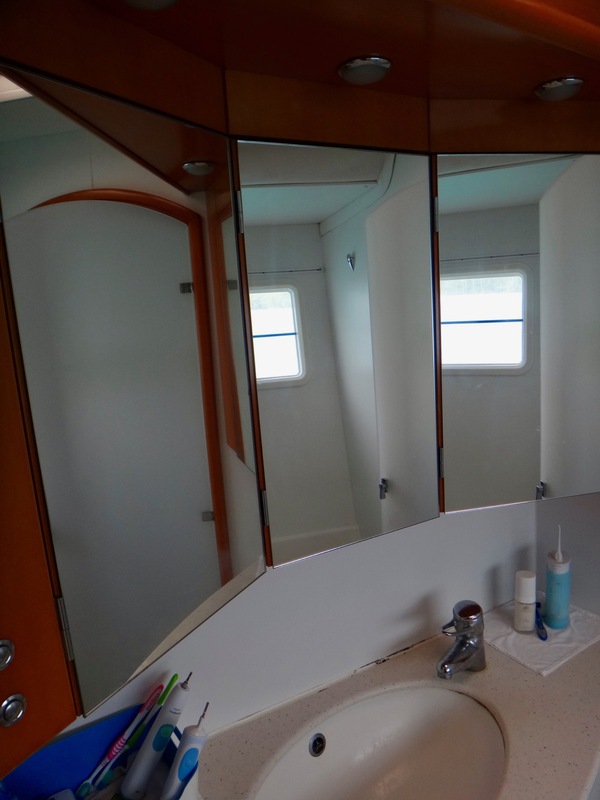 Owner's verion.